The Stevie Award was presented to Vengreso at the 13th annual Stevie Awards event on Feb. 22. “All of the Stevie Award winners should be very proud of their achievements. Independent professionals around the world have agreed that their accomplishments are worthy of public recognition." 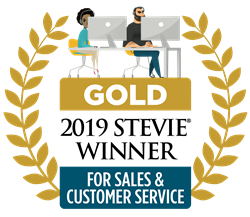 Vengreso, a B2B digital sales training and consulting firm, was presented with a Gold Stevie® Award for Best Sales Training Product of the Year in the 13th annual Stevie Awards for Sales & Customer Service on February 22, 2019. The Stevie Awards for Sales & Customer Service are the world’s top honors for customer service, contact center, business development and sales professionals. The Stevie Awards organization stages seven of the world’s leading business awards programs, including the prestigious American Business Awards® and International Business Awards®. The awards were presented to honorees during a gala banquet on Friday, February 22, at Caesars Palace in Las Vegas. More than 700 executives from the U.S. and several other nations attended. More than 2,700 nominations from organizations in 45 nations of all sizes and in virtually every industry were evaluated in this year’s competition. Winners were determined by the average scores of more than 150 professionals worldwide in seven specialized judging committees. Entries were considered in 93 categories for customer service and contact center achievements (including Contact Center of the Year, Innovation in Customer Service and Customer Service Department of the Year), 60 categories for sales and business development achievements (including Senior Sales Executive of the Year, Sales Training or Business Development Executive of the Year and Sales Department of the Year) and 40 categories to recognize new products and services and solution providers. “All of the Stevie Award winners should be very proud of their achievements. Independent professionals around the world have agreed that their accomplishments are worthy of public recognition,” said Stevie Awards President and Founder Michael Gallagher. Vengreso helps B2B sales professionals reach and engage the modern buyer for more qualified sales conversations. Companies engage Vengreso to (1) develop the content strategy their sales teams need to engage with buyers, (2) transform their team LinkedIn profiles into informative resources for buyers and (3) deliver digital sales training through live instruction and on-demand blended instruction/coaching that maximizes behavior change and results. Vengreso reaches 98 million people through social media, inspiring them to become the modern sellers that modern buyers demand. Progressive brands such as CenturyLink, Intelligize, Trinet, WorkFront, Woodruff Sawyer and others depend on Vengreso to empower their sales teams to create more sales conversations with qualified buyers. Learn more at vengreso.com. Stevie Awards are conferred in seven programs: the Asia-Pacific Stevie Awards, the German Stevie Awards, the American Business Awards, the International Business Awards, the Stevie Awards for Great Employers, the Stevie Awards for Women in Business and the Stevie Awards for Sales & Customer Service. Stevie Awards competitions receive more than 12,000 entries each year from organizations in more than 70 nations. Honoring organizations of all types and sizes and the people behind them, the Stevies recognize outstanding performances in the workplace worldwide. Learn more about the Stevie Awards at http://www.StevieAwards.com.